Dry shampoo is basically a life saver—perfect for mornings when you just can’t be bothered to wash your hair (by Friday, my hair is mostly made up of dry shampoo and shame). It’s also a great way to add a bit of life to it after inadvertently touching it all day at work. Plus, if you’re sporting a fringe, it’ll save you from the dreaded stringy fringe. We love it. But not all dry shampoos are the same, so we’ve picked out our favourites. 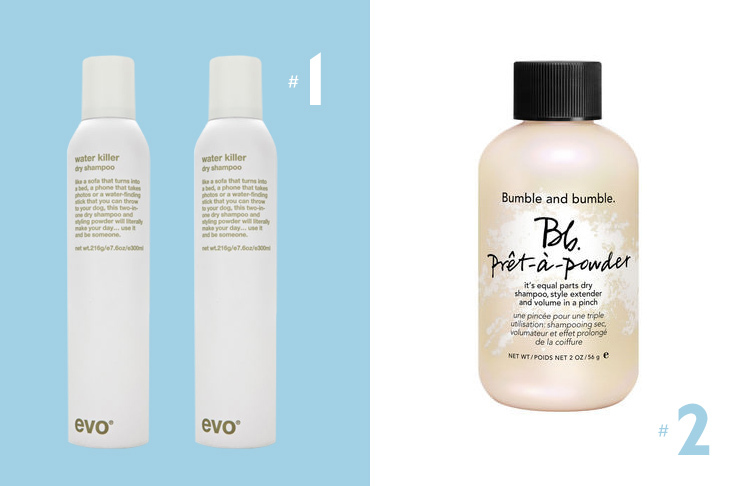 evo’s Water Killer Dry Shampoo will give your hair a new lease on life… Plus it smells good too. It’s a good one to keep in your desk drawer for emergency touch ups (like when you need to go straight from work to dinner). Pro-tip: for a gritty feel with tonnes of texture and volume, flip your head upside down, spray onto your hair, and blast it with a hairdryer. Available online from evo hair. Bumble & Bumble’s Prêt-à-Powder will save your hair in a style emergency. Part dry shampoo, part style extender, but 100% awesome, this little bottle of goodness should be a staple on your beauty shelf. Kevin Murphy’s Fresh.Hair is like a breath of fresh air. It gives that “I just washed my hair” look even when it couldn’t be further from the truth. It also banishes undesirable odours (too much partying perhaps?) and excess oil. Their tip? Don’t forget to shake—otherwise it won’t work! Available online from Adore Beauty. This classic dry shampoo is a firm favourite with beauty pros (including Karl Lagerfeld) and we can see why. It works and it doesn’t cost the world, which means you can have one in your bag, at home and anywhere you might need some last minute tszujing. Available from most chemists nationally. Oh the dreaded white patches left on dark hair. I know the pain all too well. This cult product is Oribe’s biggest seller (and easily one of our faves) and it’s easy to see why. Not only does it stop you from looking like a greasy mess, it doesn’t leave any traces of white on your hair AND it adds texture which means more volume and more style. And isn’t that what we all really want? Available at select salons nationally. 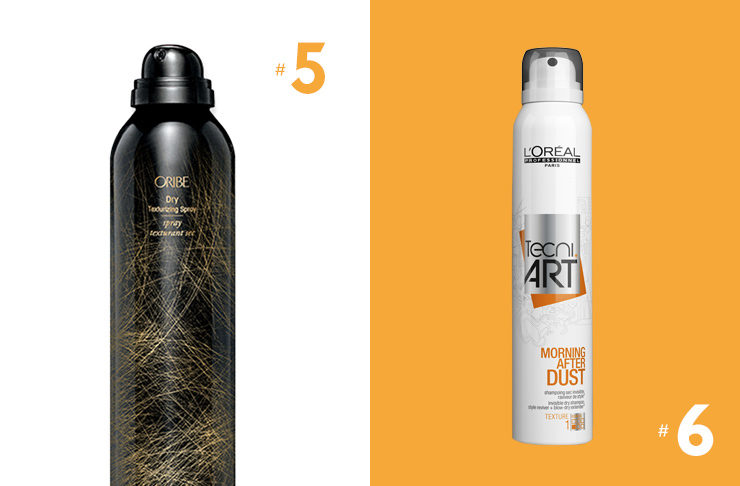 L’Oréal Professionnel Tecni.Art Morning After Dust does all the things—it refreshes, volumises, texturises and makes hair more manageable. 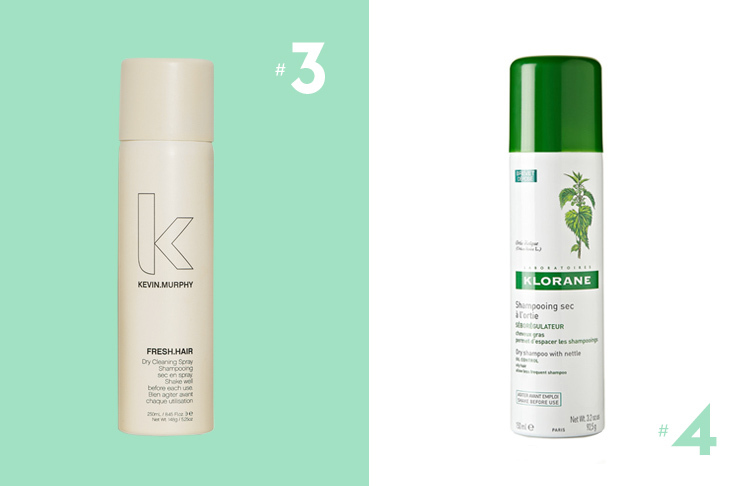 It’s essentially everything we love in a dry shampoo and more. Plus, it won’t leave your hair feeling crunchy or depressingly flat. Available from L’Oreal Professionnel Salons nationally. Available from April, the Shu Uemura Art Of Hair Dry Cleaner is a 2-in-1 shampoo and conditioner, but not in a 90s way (remember how popular they used to be?). This bad boy reduces oils from your scalp and moisturises the lengths and ends. How the product does this is beyond us, but it leaves our hair looking great without any gross residue, so shut up and take our money, Shu Uemura! Available at Shu Uemura Art of Hair salons nationally. 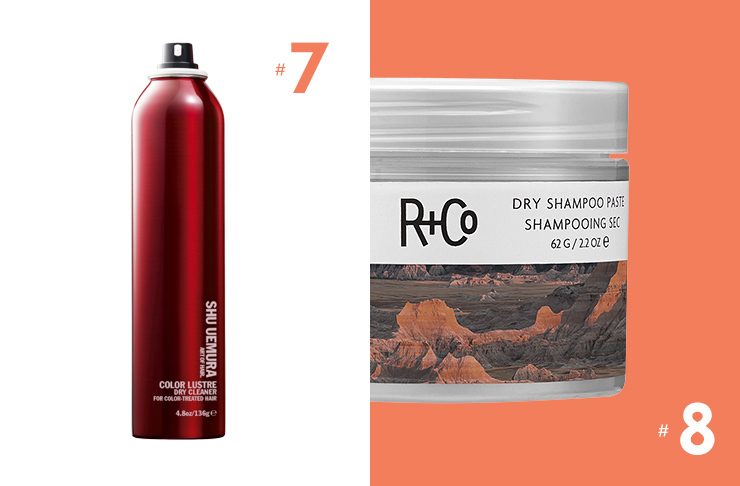 Sometimes second-day hair needs a bit of help, and R&Co’s Dry Shampoo Paste does just that. Unlike the others, which are primarily sprays, this is a paste that you work into your hair and absorbs oils and helps to style your troublesome hair.